Breaking News! 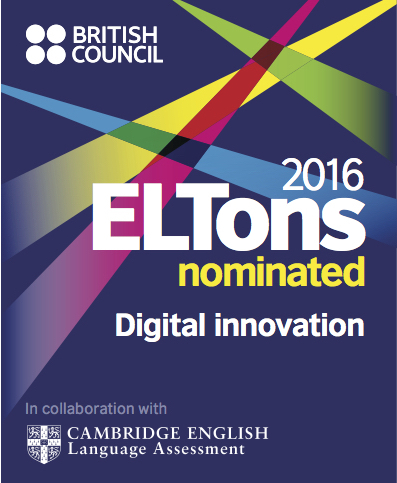 LEP Nominated for a British Council ELTon Award for Digital Innovation. In this episode you’ll hear me talking about what’s been going on since I recorded the last episode, including: LEP’s nomination in the British Council ELTon awards, Leonardo DiCaprio fighting a bear in The Revenant, my adventure to the American Museum of Natural History and more. Also – for all the vocab hunters out there – watch out for some phrasal verbs and idioms. 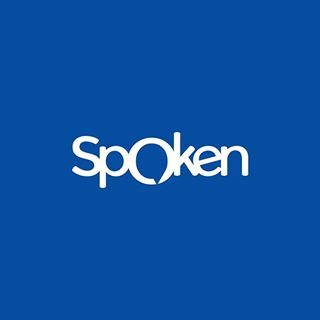 Luke’s English Podcast is nominated for a British Council ELTon Award! You might be thinking – can we do anything to help you win? Is there a vote or something? Nope. It’s all decided by a panel of judges and they are taking it very seriously, with judging being done following a very thorough and impartial method. I am aware that at this moment, some industry people might be investigating my podcast. Some of the judges might be listening to this right now in fact! If you are a judge in the ELTons or a bigwig of the TEFL industry – hello! Welcome to my podcast. I hope you like it. I hope you consider it to be a genuine innovation in the world of EFL, in its own way. 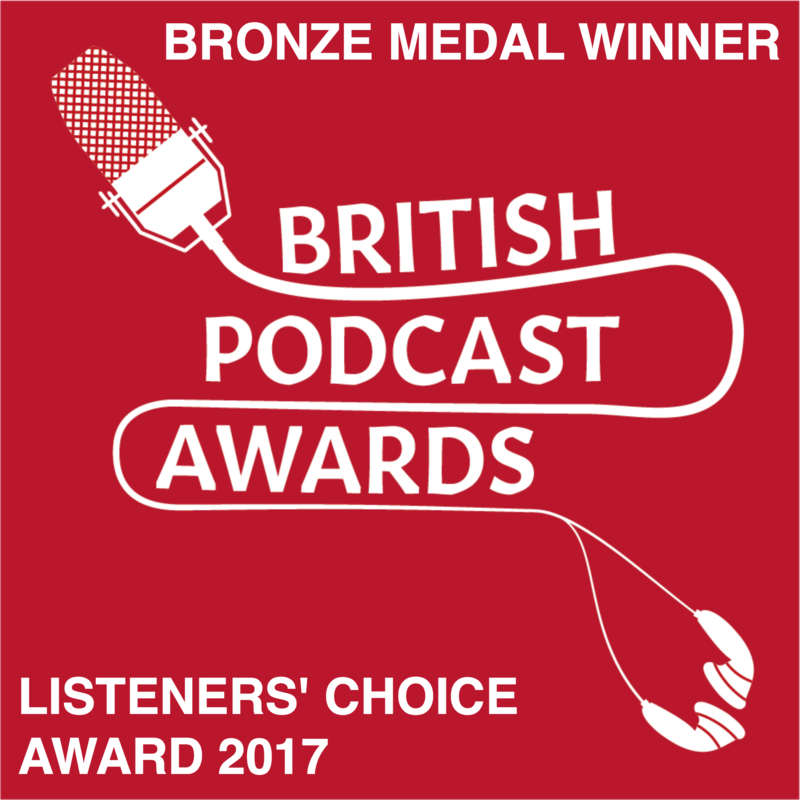 I’m delighted to be nominated and to receive some recognition from the industry after working on this podcast for over 7 years! Let me introduce you to my audience. 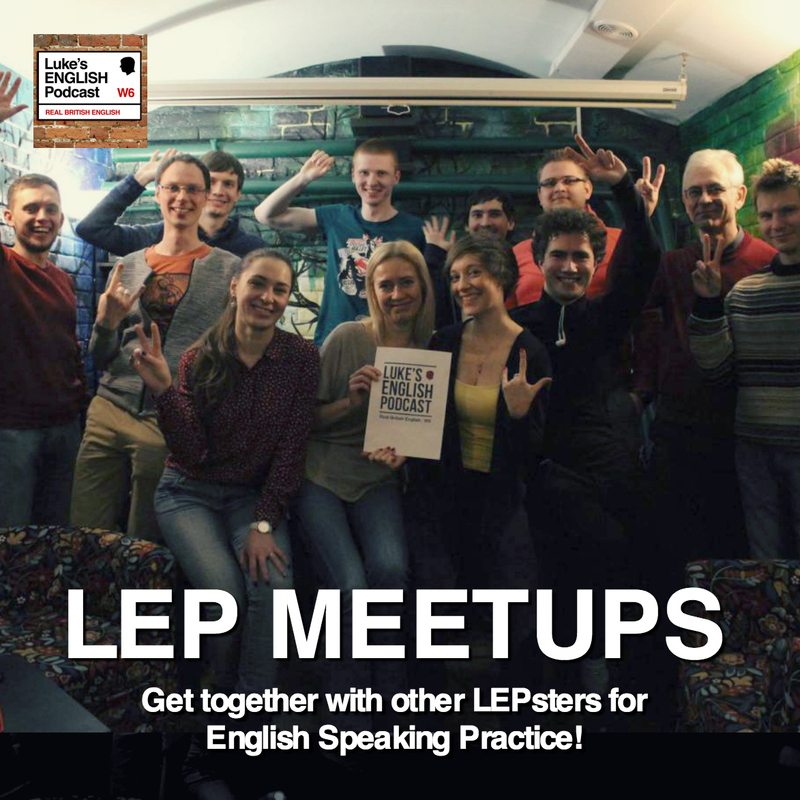 TEFL industry people, meet the LEPsters. 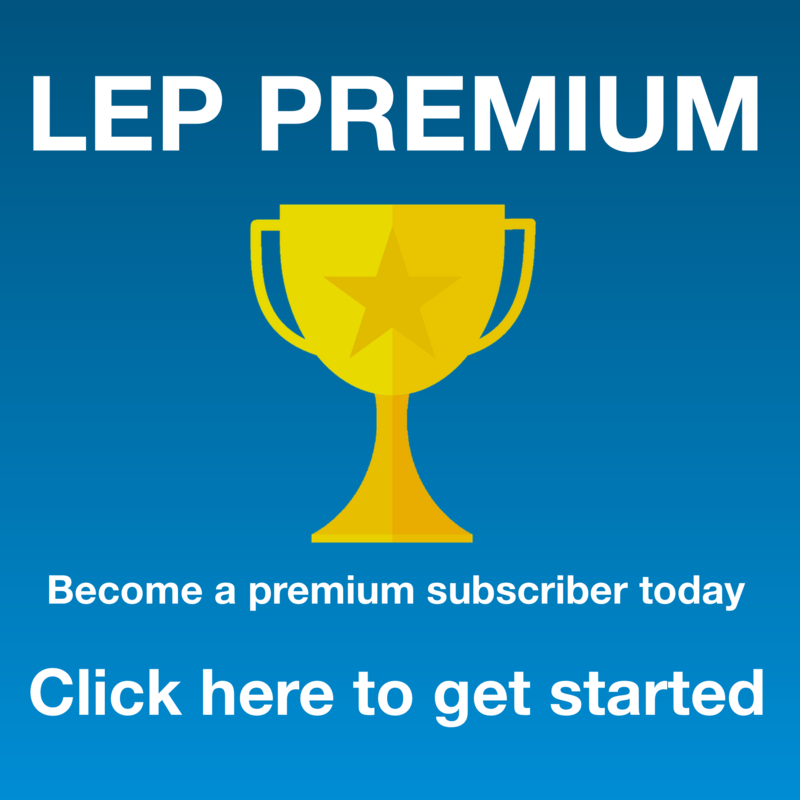 Industry people – lepsters. LEPsters – industry people. There. You’ve been introduced! Everyone’s very nice and friendly around here so just make yourself comfortable. Pull up a chair. Can I take your coat? Feel free to have a biscuit or a cup of tea, or indeed both if you fancy that. Anyway, just relax and take it easy. This is a no-pressure zone. There are some bean bags over there if you want to get more comfortable. Mi casa su casa. That’s Spanish – I don’t normally do that. It’s pretty much 99% English here. Anyway, I’m rambling… but that’s the idea of this podcast as you will see if you stick around! OK that was a little nod to the ELTons judges or any other high level industry executives listening to this. There is a red-carpet award ceremony on 2 June and I’ll be going to that. I don’t think I’ll win – I’m competing with some excellent work by the other nominees and I wonder if my work on a podcast will be recognised – I have no idea. 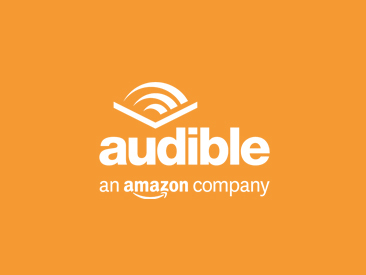 I do think podcasting is an innovation because I think it allows teachers to connect with learners of English in a new way and it allows learners to connect with the English language in a new way. I’ve got a sort of long-running relationship with my listeners that I think is tremendously important in allowing you, my listeners, to really plug yourselves into an authentic source of English. I could go on about that more, but I won’t here in this episode. I’ll just say I’d be surprised and completely bowled over to win because the other nominations are brilliant, but I really hope I do win of course because that would just be incredible and unexpected. As I said – I’ve basically been working away on this podcast on my own for years and, well, you know the story. But anyway, I’m delighted to be nominated. Please keep your fingers crossed for the podcast. 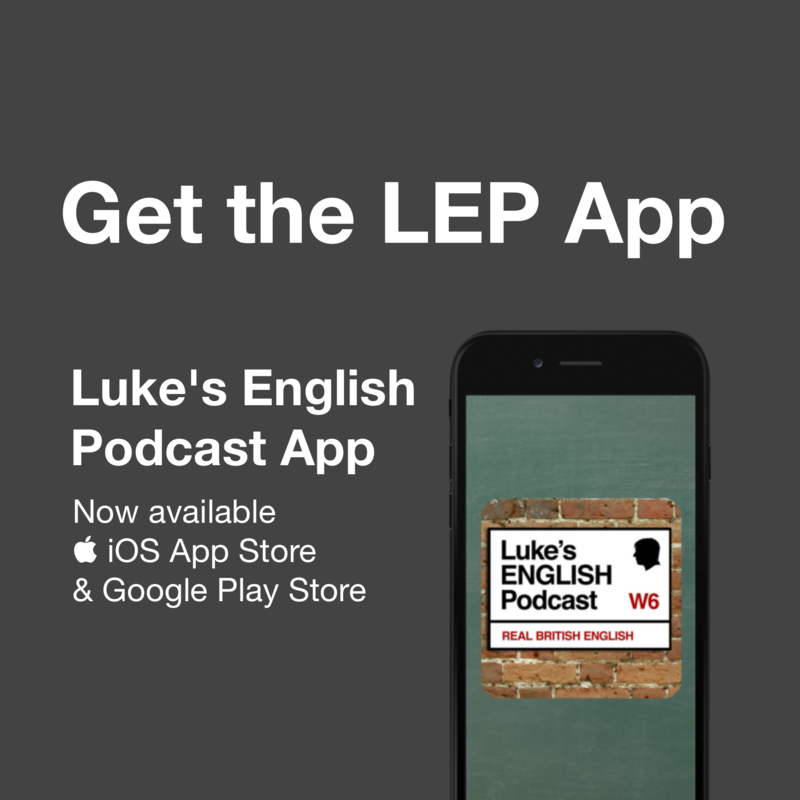 I think the more established it becomes the more I am able to do this podcast regularly, and I have so many plans for other entertaining online services for learners of English which I could work on if I had the chance. I’ve been away from the podcast for about 3 weeks! I’m very happy to be back because there are so many things to talk about. Some of those things are about what I’ve been up to (which are not that important really) and other things are about what’s been going on in the world in general (more important), because it seems to be an intensely busy and dynamic time at the moment with all sorts of big events in politics, sport, entertainment and stuff like that. What about Language? Will there be language teaching in this episode? Well, mainly in this episode I’m just talking to you directly about some topics and anecdotes. But if you are in the mood to focus only on the language, and you couldn’t really give a monkey’s about what I’m saying (ha ha) then here is a little task. During the course of the episode I am going to use (at least) 5 phrasal verbs and (at least) 5 idiomatic fixed expressions, at certain points. I’ve randomly chosen these words and expressions from a couple of dictionaries that I have just lying around. This time I’m using the Cambridge Phrasal Verb dictionary and the Oxford Idioms dictionary. Both very nice dictionaries published by very lovely publishers, (hello industry people). So your challenge is this: Try to notice the 5 phrasal verbs and the 5 idioms as they come up in this episode. Got it? I’ve picked out 5 phrasal verbs, and 5 idioms and I’m just going to randomly include them in the episode as I go – that’s going to be difficult for me because I don’t want it to be too obvious and easy – and you just have to notice them. So, as we move forwards you’ll be looking out for any phrasal verbs that come up, and you’ll be keeping your eyes peeled for idioms. I say keeping your eyes peeled – obviously, you’ll be trying to hear them not see them, but you know what I mean. Do you know the expression ‘keep your eyes peeled‘? Well, that was an idiom. ‘To keep your eyes peeled (for something)’ means to be on the lookout for something – to be ready to see or notice something. It means ‘keep your eyes open’. You can imagine an orange – you know you peel and orange – remove the skin. Similarly you can keep your eyes peeled – keep the eyelids open. I like that one. In this case of course you’re listening not looking, but still… Perhaps the equivalent for your ears would be ‘prick up your ears‘ – like a wild animal in a field that hears something, its ears go up a bit – like a cat or a fox, you can imagine its ears suddenly standing to attention. It’s pricking up its ears. So, prick up your ears. If you’re reading a transcript of this then you can keep your eyes peeled. Look out for idioms and phrasal verbs, or listen out for idioms and phrasal verbs. And yes, there were a couple of phrasal verbs. “Look out for” and “listen out for” – they’re quite easy ones really because the meaning of the phrase is quite obvious, quite literal. Others might be idiomatic – the meaning might be less obvious. They’re very common in English. They’re not slang, but they are often a bit more informal than the longer equivalents. They are used all the time in many situations, and are absolutely essential if you want to learn natural English – British and American. Some of you know all about this because you listen to my other podcast, “A Phrasal Verb a Day” – and if you haven’t heard of that, just go to teacherluke.co.uk/pv to check out my phrasal verb podcast where you can learn a different phrasal verb in each episode – and I teach them to you properly, quickly, without any messing about or rambling. So we’ve already had 2 idioms and 2 phrasal verbs and the episode hasn’t even started yet. “To listen out for something”, “to look out for something”, “to keep your eyes peeled” and to “prick up your ears”. So, I’ve set up a language challenge for the episode – just try to notice 5 phrasal verbs and 5 idioms. At the end I will tell you the answers – I’ll tell you which phrasal verbs and idioms I picked from the dictionary, and I’ll explain what they mean. Now, there are so many things to talk about that I’m not sure how long this is going to take. I will just keep recording and when I get to about an hour I’ll pause and carry on in the next episode. IS that alright by you? Yes? I’m glad you said that because you haven’t got any choice really have you. No, you don’t. Anyway, let’s get started properly. I’m going to now ramble on about various things including some personal news, some travelling stories, some world news, some politics, some movie-related stuff and probably some other things that just come to mind while I’m talking – and remember to watch out for those 5 phrasal verbs and 5 idioms. Hi Mayumi, I’m fine thanks. In fact I’ve been really busy lately so it’s good to be back. Did you notice any phrasal verbs and idioms? Do you remember that at the beginning of the episode I chose 5 phrasal verbs and 5 idioms from the dictionaries? This entry was posted in Entertainment, Food, Hello, History, Humour, Idioms, Movies, Native Speaker, News, Personal, Phrasal Verbs, Podcast Information, Ramble, Travel, Vocabulary and tagged brooklyn, dinosaurs, english, idioms, learn, learning, leonardo dicaprio, new york, phrasal verbs, podcast, the revenant on May 11, 2016 by Luke Thompson.